Previously, on MinerBumping... Agent Kalorned bump-tackled a Mission Ready Mining miner, allowing a member of The Marmite Collective to take advantage of the active wardec. After countless humiliations, MRM was ready to strike back. A fleet of MRM combat vessels dropped onto the grid and attacked the Marmite. The tackled Marmite managed to hold on as a small number of other Marmites responded to his distress call. There was no going back now. Kalorned traded his bumping ship for an Orthrus, hoping to join the fray. The Marmites were heavily outnumbered, and Kalorned yearned for Mission Ready Mining blood. 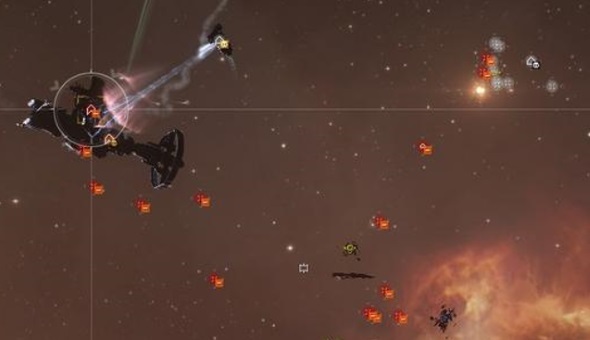 Unfortunately, all he could do was lock targets and view the action, as everyone was either engaged in wardec-sanctioned combat or remote-repping. The remote-repping slowed things down, but Kalorned could sense that things were not going well for his Marmite allies; the weight of MRM numbers was beginning to tell. But Kalorned had something that the MRM pilots did not--something even the Marmites didn't have. I am speaking, of course, of the Code. 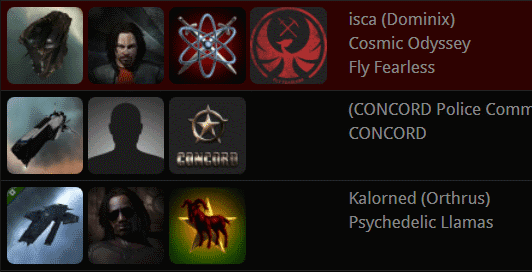 Kalorned swooped in next to isca, a non-MRM member of MRM's alliance, Fly Fearless. Perhaps because he wasn't a member of MRM proper, isca was effective; his Dominix was a workhorse in the battle. It also happened to be using smartbombs. When our Agent approached the Dominix, he was hit by the smartbombs, triggering a reaction from CONCORD. Kalorned had bumped the Dominix to its death. The unexpected destruction of isca's Dominix changed everything. Though still outnumbered, the Marmites had a chance to tip the scales in their favor. Slowly but surely, the Marmites whittled down the MRM fleet. At last, only the MRM Navy Scorpion remained. Its tank could no longer hold. Just as the Navy Scorpion gave up the ghost, a latecomer from MRM arrived on the field. He was easily destroyed. Though MRM had thousands of members on its rolls and ambitions to rule Gelhan, no other reinforcements were willing to show up. The battle of Gelhan was over. The result was a staggering victory. 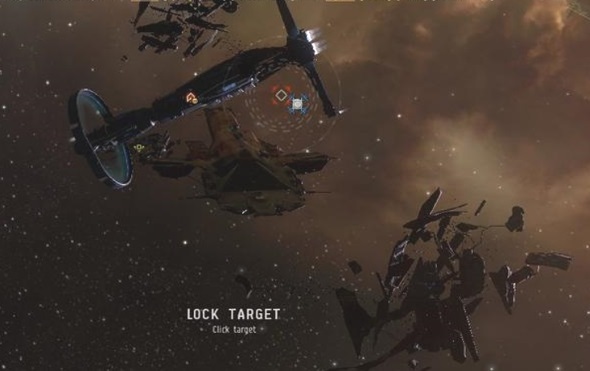 MRM had failed to destroy even a single ship during the battle. (The only losses on the zKillboard battle report were a pair of Kalorned's alt's suicide gank Catalysts.) As for MRM forces, they were completely wiped out. 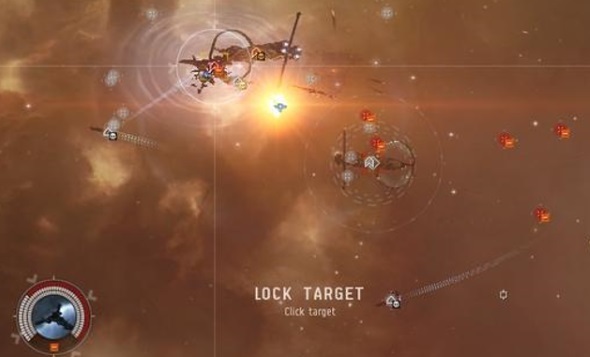 More than a dozen MRM combat ships, totaling 1.6 billion isk, were destroyed in the battle. Gelhan was littered with their wrecks. The ships--and Mission Ready Mining's dreams of "liberating" Gelhan--were in tatters. MRM members were dour in local. 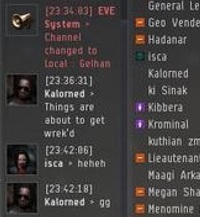 They'd finally seen action in EVE, and they didn't like it. 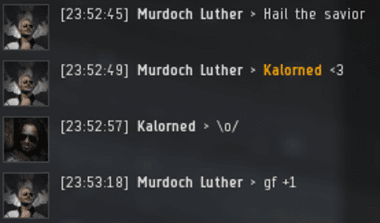 General Lemming and his fellow Marmites slowly filed into local chat to offer "gfs". As for MRM, they still bitterly cursed the New Order and the Marmites for colluding. There was no denying it now. Mission Ready Mining corp had brought everything they had--that is, everything they were willing to bring--and they'd lost completely. The Code had won in Gelhan. The CODE always wins. Always! Almost at 2 billion isk for the month, all from mining in various high security systems. And this weekend a lot of it was done while watching baseball games and the NBA playoffs. A nice way to relax. And not a CHODE. slave to be found. 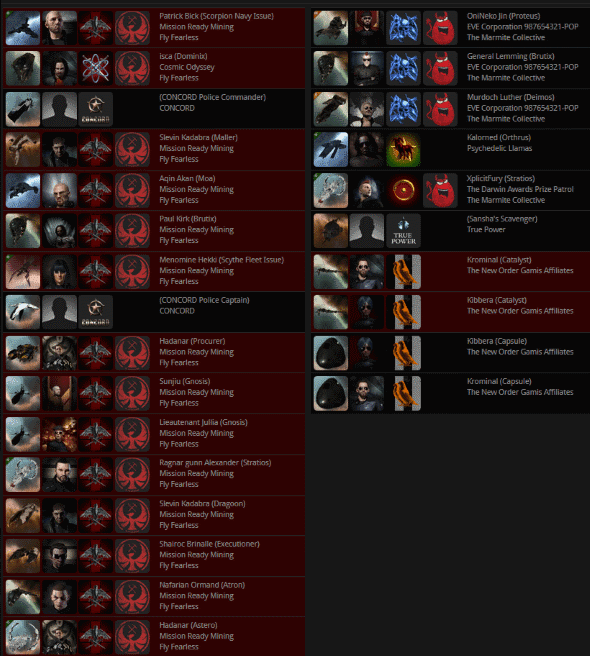 More irrelevance to the vast majority of EO players. And have you and other rabid dogs come after me in game, and probably IRL as well? No thanks. My point stands. Goes to show you fear Code. Yep, chodeanon is a lying chicken shitter. If he was telling the truth he would have proof. Probably just that dryson shitter's alt. I'm laughing all the way to the ISK bank. A degree of anonymity has it's advantages. List of activities while mining you forgot to list: watching your wife get banged. But on a serious note, what kind of sad person brags about watching TV and AFK mining. Both are pitifully sad hobbies to take up. It's 2018, 2 billy isk isn't anything to brag about my dude. Don't bother correcting the chodeanon, everything he claims is lies. He is a liar. He lies because he can't back up his claims. He can't back up his claims because he's a liar. 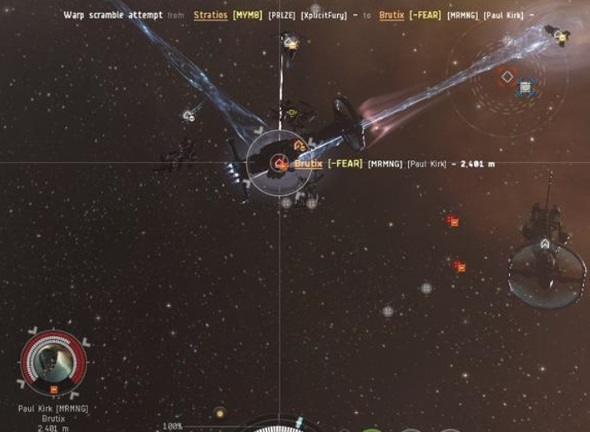 chodeanon is nothing more than a pissed-off highsec cowardly liar with no proof and no credibility, grubbing for chump change in some 1.0 while hiding from shadows, scared to play EVE properly. All his claims made without proof can be dismissed just as easily. He claims his anonymity is to protect him from being harassed, when we all know it's because he's just a liar. Anyone who would lie that consistantly about his in-game abilities is just a liar IRL. Liars IRL are not good people, and not deserving of a place in the EVE community. Crushing defeat. Should have spent more time shooting at ships instead of rocks and maybe numbers could have prevailed. What a marvellous victory! It just goes to show that good will always prevail over evil. Well-narrated, James. I was on the edge of my seat; a real nail-biter, even though the outcome was never truly in doubt. Well done, Kalorned and friends!